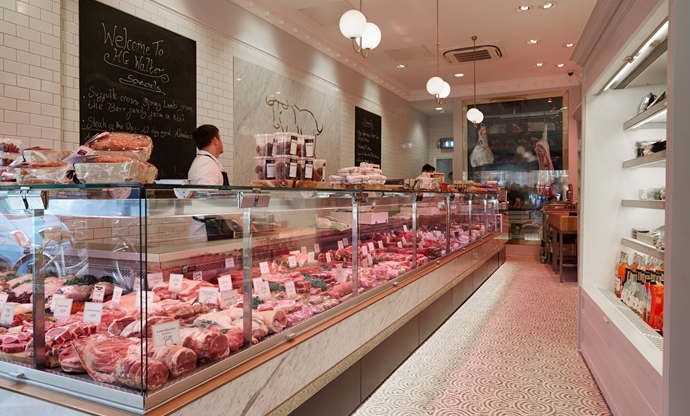 Hugh Thomas takes a look at some of the capital’s finest butchers, from centuries-old establishments to trendy new upstarts. 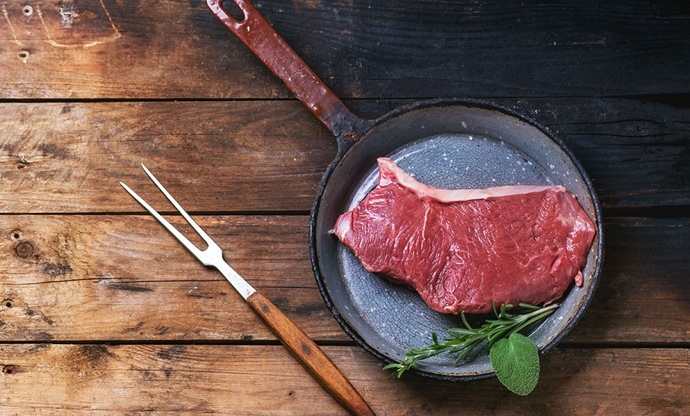 Good quality meat: is it worth the extra few pennies? The dozen-deep queues? Too right it is. Not much beats a good local butcher (I feel a sudden need to tip the hat to the wonderful GG Sparkes down my road – they’ve helped upgrade many a morning fry up, Sunday roast or batch of carnitas in my kitchen). Because, unlike their supermarket equivalents, ethicality, traceability and quality are among the things that actually matter. Ask for the more obscure, like ox tongue or even chicken bones for stock, and you won’t get a blank look either. Get the sense you’re missing out yet? National Butcher’s Week (12–18 March 2018) is as good an excuse as any to put that feeling to bed. 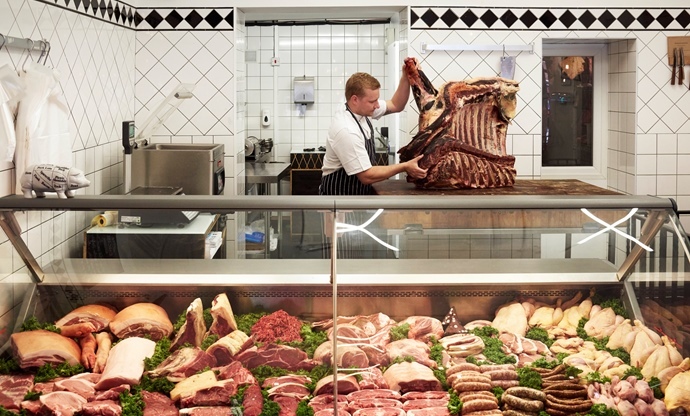 Here are a few London butchers worth a visit. Really, The Quality Chop Shop needn’t sell superb pieces of meat for it to be one of the most gratifying places epicures can visit in London. As such, it’s earned a strong name in London scene since its inception in 1869. Often known via its restaurant next door – the Quality Chop House – the shop also sells dishes prepared by the kitchen, including pies, terrines and confit potatoes. 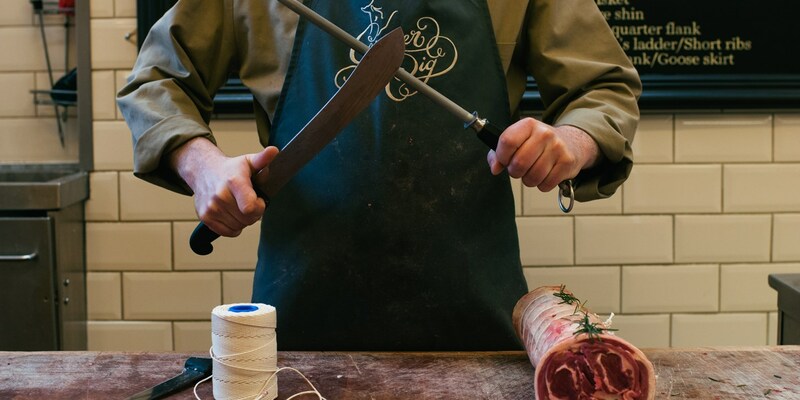 More to the point: pasture-fed beef aged from twenty-eight days to thirty months is one of the biggest draws, though ‘chop house’ isn’t as specific a term as you might think – expect top drawer free-range pork, chicken, lamb, hogget and mutton too. 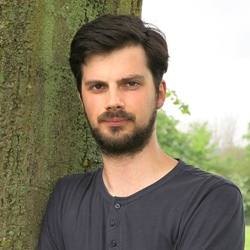 Richard Turner, chef and restaurateur to Pitt Cue, Hawksmoor, and Blacklock, co-opted with butcher James George to open this Clerkenwell-based meat merchant a few years ago. They’re based in a Victorian listed building on St John street, a few dozen doors down from a certain Fergus Henderson institution which heavily influenced Turner’s approach to meat. Here you’ll find top-range cuts alongside more atypical options, such as kid goat, lamb sweetbreads and ox heart. Occasionally, rare-breed and ‘Black Label’ meats, including ale-fed Dexter beef and Gloucester Old Spot, are stocked by the butchers for delivery. Among dozens of other restaurants about town, The Ginger Pig supplies Social Pantry and Dishoom. 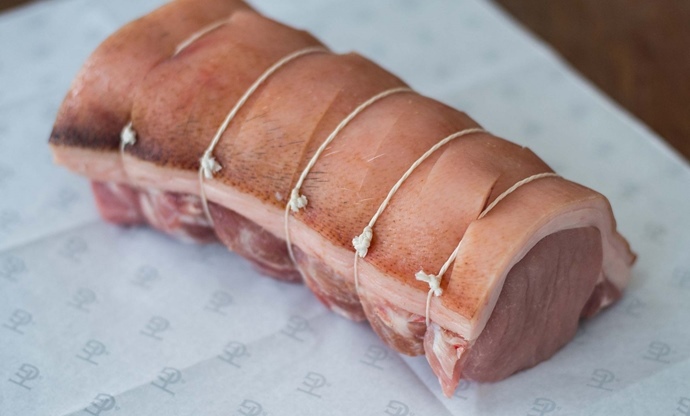 For everyone else, Ginger Pig’s beef, lamb, pork, and poultry – a large part of which is from animals reared on their 3,000 acres in North Yorkshire ­– is up for grabs at their eight branches around London. As far as butchers go, they’re relatively young, having been in business for twenty years. But that doesn’t mean they aren’t used to strange and specific requests. Work in the city? 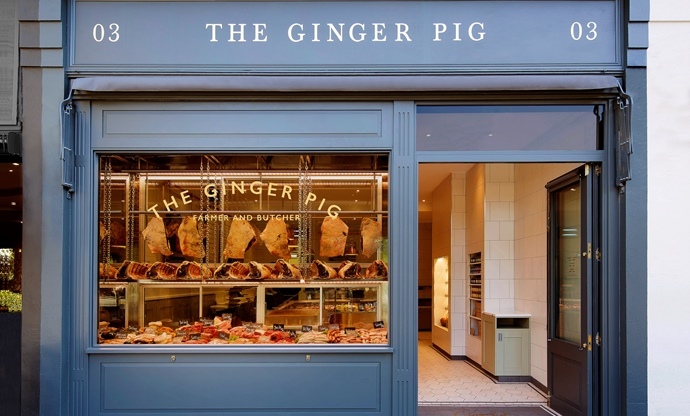 A few Ginger Pig sites, including their Marylebone shop, dish out hearty roast meat sarnies and, more importantly, sausage rolls (easily among the best around) for lunch. At the peak of its 850-year history, Smithfield market was virtually inaccessible due to the abundance of livestock brought in, mingling as they did with those of the public who’d come to buy the subsequent meat. Those days have long gone, though the area still remains Britain’s most important meat market, home to thirty butchers and meat wholesalers. 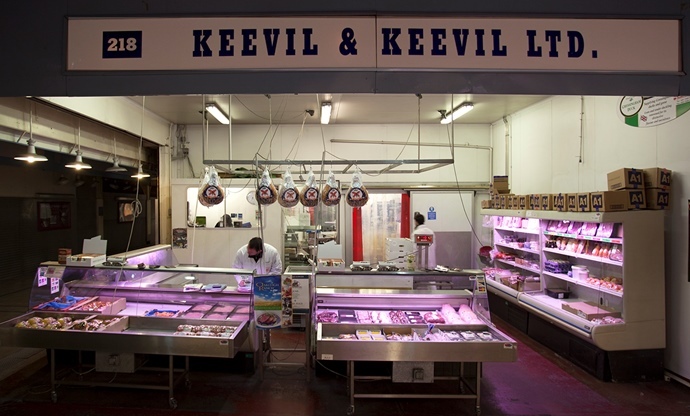 Keevil & Keevil is the oldest surviving among them, and their history is as impressive as their repertoire ­– from delicate foie gras and crocodile to heartier flesh such as Wagyu, kangaroo and wild boar. Many London chefs hold HG Walter in Barons Court in high esteem – Ruth Rodgers, Tim Siadatan, Stevie Parle, Nigella, Phil Howard and the rest. The fact there’s normally a sizeable queue suggests it’s no secret among the people of West London either. What they come for is the well-marbled cuts, like Angus-Wagyu cross sirloin, or Hampshire-Duroc cross pork from the South Downs. Add on to that a good choice of furred and feathered game when in season and ­– something which has developed into a speciality here ­– iberico jamon from Estremadura. Founded way back in 1822, William Rose moved from Vauxhall to East Dulwich in 2005. It’s almost as if they bought the Saturday queues with them. You can see why: the likes of Foulness Island salt marsh lamb, Dingley Dell sausages and Sutton Hoo free-range chicken mean the residents of SE22 can put on some serious suppers at home. It could also be said William Rose places even more emphasis on provenance and seasonality than most butchers. As we speak, the Suffolk-Texel cross salt marsh lamb they stock is, for instance, at its prime.